HCM City Open University offers e-learning courses. 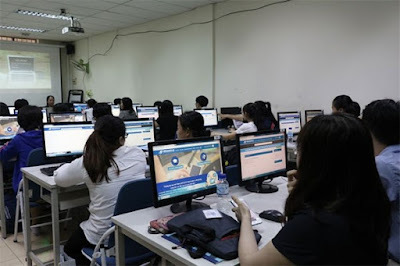 Dr Vu Huu Duc, Vice Rector of HCM City Open University, said that the university’s many e-learning courses had helped students save time and money. E-learning courses are provided in accounting, law, auditing of international business, and other majors. By 2020, the university will expand e-learning courses in technology, Duc said, adding that it had set up an e-learning centre to manage the courses. At the university’s Department of Accounting and Auditing, for instance, students study 90 percent of theory online and come to the university campus for practical lessons. The e-learning methodology is useful for traditional learning courses, he said, adding that its 2,000 lecturers and officials were asked to help set up an electronic system.